Religious School classes will resume on Sunday, 4/28. The ECS will be closed from 4/19 - 4/28. Classes will resume on Monday, 4/29. The BSO Office will be closed on Friday, 4/26. Thinking Jewishly - Thursday, May 2, 1:00 p.m. Thinking Jewishly resumes after our Holiday Break with a special guest teacher. We hope that you will join us for this popular discussion series! Shirei Shabbat - Friday, May 3, 7:30 p.m.
Back by popular demand, Shirei Shabbat returns on Friday, May 3rd at 7:30 p.m. with melodies to raise your Jewish soul. Come join us for a musical Shabbat experience that you’re sure to enjoy. The Women's Circle will be discussing The Book of Separation by Tova Mirvis on Sunday, May 5th. It is a memoir of a woman who leaves her faith and her marriage and sets out to navigate the terrifying, liberating terrain of a newly mapless world. We will meet at 11:00 a.m. at Eileen Oslick's home (2901 S. Leisure World Blvd., #221, Bldg. B of Creekside). PLEASE be sure to RSVP to Eileen or 301-847-9839 so that she knows how many people to expect! Yom HaShoah Community-Wide Holocaust Commemoration - Sunday, May 5, 1:00 -5:00 p.m. Please join us at B'nai Israel (6301 Montrose Road, Rockville, MD) on May 5th for Art, Exhibits, the Reading of Names, and a Community Commemoration honoring survivors, victims & heroes of the Holocaust. HAZAK Open Mic Night - Sunday, May 5, 5:00 p.m.
​​​​​​​HAZAK will be holding their Annual Open Mic Night on May 5th. Dinner will be served, and we’ll finish the evening with the movie "Life is Rich." Details are on the BSO website, please RSVP here before April 30th. All are welcome. Contact Naomi Kline for more information. 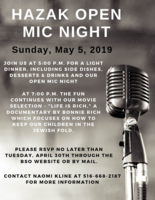 "Coco" Themed Congregational Shabbat Dinner - May 10, 6:30 p.m.
Bring the whole mishpacha to celebrate familia at our Congregational Shabbat Dinner on Friday, May 10th. We'll be serving up a (kosher) taco bar & sweet treats with a side of fun. More details will be coming soon! We hope you can join us for the last Congregational Shabbat Dinner of the season. The goal of our circle is to bring together all of the women of BSO (and their friends!) to socialize, learn, laugh, and have fun! (You do not need to be a member of BSO to join Women's Circle.) 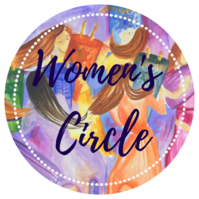 Please click here to join Women's Circle if you haven't already done so. Looking ahead we plan to read The Tattoo Artist of Auschwitz by Heather Morris during the summer or fall. At our next meeting, we would like to determine a list for the upcoming year. 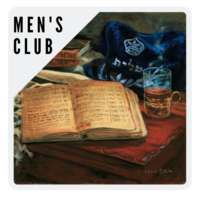 As determined by the group, the books we choose should either have a Jewish theme or be about women and should be available either in the library or in paperback. Ushers are Needed - Sign up here to be an Usher. Registration for the 2019/2020 school year is now open! Click here to register! The ECS is seeking teens to help with Summer Camp. Interested teens should complete a short application form here . Teens who are selected to volunteer are required to attend a training for teen volunteers before they begin work. Rabbi Sarah, the ECS Director, will schedule trainings for new volunteers before camp starts. Teens who work at the camp will be eligible to receive SSL hours. Due to licensing restrictions teens must be 13 years old by July 1 to volunteer with the ECS. Think of BSO for your corporate rental needs. Our functional space and outstanding hospitality make BSO the perfect place to hold meetings, conferences and classes. Contact the BSO Office for more information. 0.5% of the price of your eligible AmazonSmile purchases. Thank you for supporting B'nai Shalom of Olney & Early Childhood School. various ways! You are most appreciated! Oneg/Kiddush Sponsorships: BSO families are encouraged to sponsor or help sponsor our onegim and/or kiddushim as a way of celebrating our many life-cycle events – birthdays, anniversaries, engagements, weddings, birth of children or grandchildren, or many other joyous events! Please contact the synagogue office for sponsorship options. All families will be recognized for helping to sponsor an oneg or kiddush. Please support our weekday Minyanim on Sundays at 9:00 a.m., weeknights at 7:30 p.m., and Fridays at 6:45 a.m. If you would like to have a Sunday evening Minyan, please contact Larry Fishbein. Congregants are saying kaddish, and any Jewish person 13 and older will count in the Minyan. It's a mitzvah! Contributions will help us expand the activities and services we offer to our congregants as well as to the community.